How scared can you get in only 30 seconds? 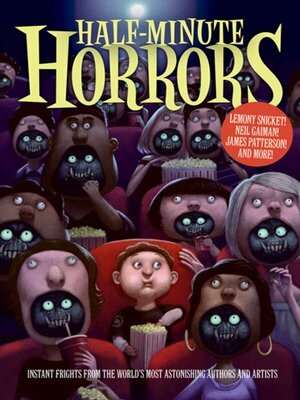 Dare to find out with Half-Minute Horrors, a collection of deliciously terrifying short short tales and creepy illustrations by an exceptional selection of writers and illustrators, including bestselling talents Lemony Snicket, James Patterson, Neil Gaiman, R.L.Stine, Faye Kellerman, Holly Black, Melissa Marr, Margaret Atwood, Jon Scieszka, Brett Helquist, and many more. With royalties benefiting First Book, a not-for-profit organization that brings books to children in need, this is an anthology worth devouring. So grab a flashlight, set the timer, and get ready for instant chills!